Visiting Maui, Hawaii, during the winter is a sure way to enjoy some much-needed sunshine during the gray winter months in most of the US and Canada. During the winter season, while it never gets cold, the weather is cooler and beautiful. It’s also the rainy season here in Hawaii, so there is a chance for wetter weather. Preparing for a Maui winter is easy, but there are some scenarios you should be prepared for. Read through the article below and you’ll be well on your way to having a fabulous Maui vacation this winter season. The guidelines outlined below apply generally to all the Hawaiian Islands, so whether you are going to Kauai, Oahu or the Big Island of Hawaii, the same guidelines will apply. Located in Northern Hemisphere, winter months in Maui are between November and February. As for temperatures, expect days to range from the 70s to the 80s and the nights to dip down to the 60s. Storms will come through Maui during the winter months that create a spectacular scenery on the coast. Winds can also pick up and can reach up to 20 mph (sometimes gusts get up to 35 mph). 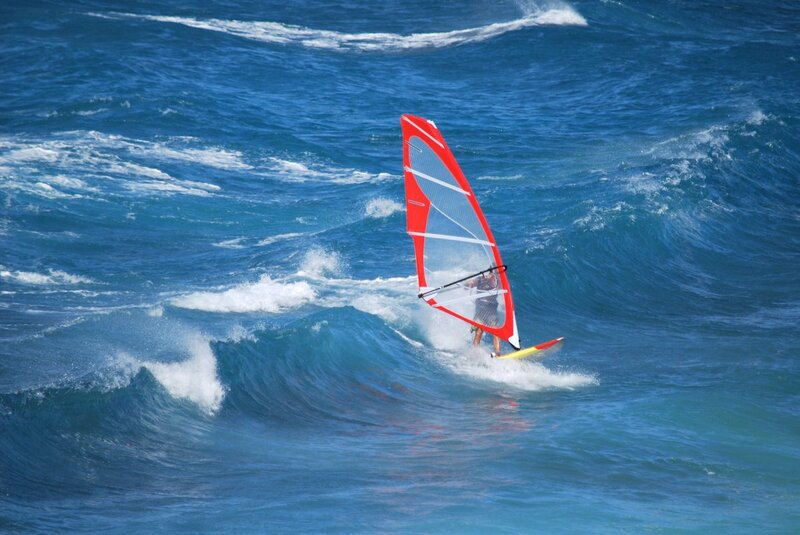 This makes the North Shore of Maui a perfect spot for windsurfing in the winter, and the world’s best windsurfer and kite surfers make their way to Hookipa beach. From the bluffs there, you can watch these athletes charge massive swells and catch big air. 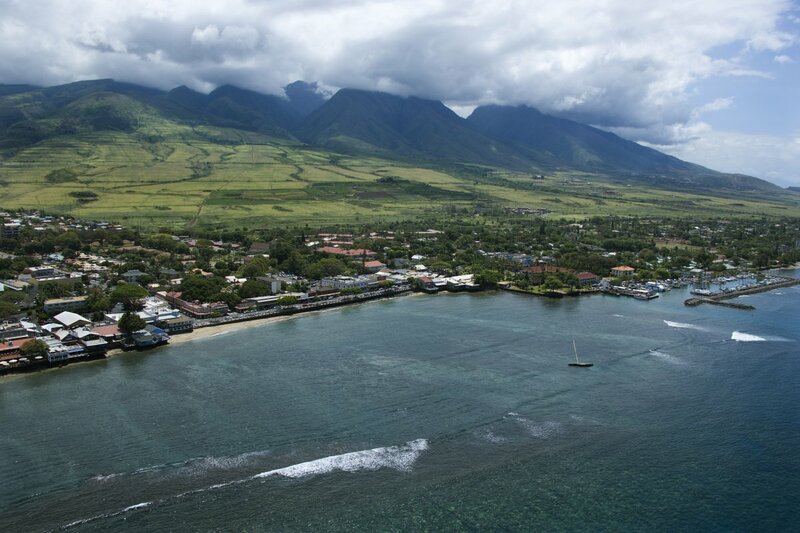 When you’re finished, you can enjoy a meal at Mama’s Fish House or something more casual in nearby Paia Town, with its crunchy culture. Snow? Maybe! If you're lucky, you may even see a bit of snow on the way upper slopes of Haleakala. Hawaiian snow is relatively rare and fleeting, but there is a chance for a white Christmas here! Packing for winter vacation on Maui is sort of like packing for a beach vacation in late spring. You’ll want everything you typically need for a beach holiday, swimsuits, shorts and short sleeves shirts and sunblock. But the evenings may be breezy and cool, and it may rain more than usual, especially in the evening, so you’ll want to bring light jackets or hoodies and some rain gear with you on your Maui winter vacation. Shorts and the usual beachy dress code. One or two pairs of pants. Even though there will be days where you can enjoy Maui in shorts, you'll want some warmer clothes for the nights and cooler days. Waterproof bags. Whatever you carry your phones and wallets in, be sure it's able to withstand the potential for a heavy tropical shower! Rain Gear. That means ponchos, waterproof clothes and shoes. Stay dry! Binoculars. Winter in Maui means whale watching on the shores. Be sure to have a pair of binoculars to get a better view! Believe it or not, the summer months are most popular travel months for Maui and Hawaii generally. This is due to school vacations. Therefore, during the winter, you will find that Maui can be less crowded during the winter, especially when you are there on non-school holiday weeks. However, when a passing tropical shower hits, it can slow down traffic on the roads. The showers can be brief and intense, so best to take it slow. If you are planning to snorkel, be mindful if you've reserved a spot on any tours and there is a prolonged heavy downpour or lots of shore break, as snorkel spots can become cloudy with sand and mountain streams can become quite swollen. Give your concierge or tour guide a call to make sure the conditions will withstand. One of the great upsides of winter travel are the waterfalls. With the additional rain showers, the waterfalls are usually in full force, so looking into any valley or mountain will usually payoff with stunning scenes befitting of any tropical paradise. 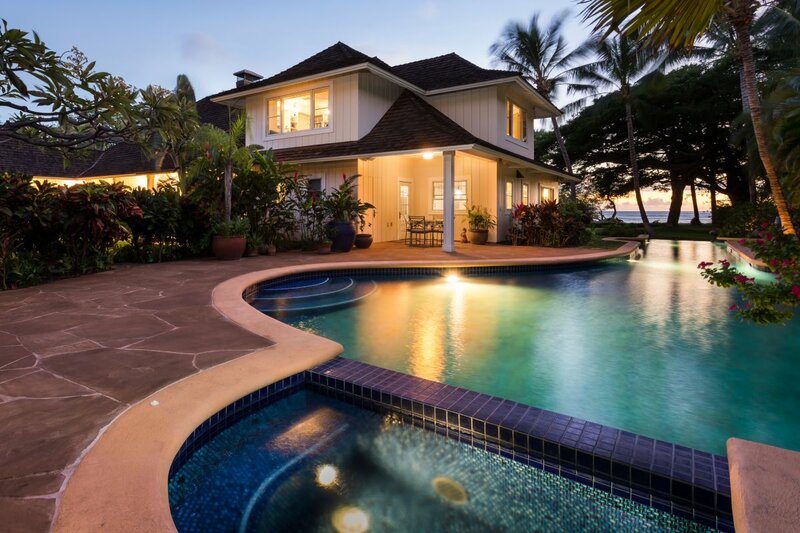 Renting a vacation home on Maui and across the Hawaiian Islands is popular all seasons. However, you’re going to want to speak with a villa specialist to get a sense of the micro climate a home may be in. Some Hawaiian Villas, while just a few miles from sunny skies, can be in wetter and more overcast micro climates, especially at the higher elevations and inland areas. A Maui villa vacation is a great way to vacation with family and get to know this island. Staying in a Maui Vacation Rental lets you make this amazing island your home away from home! 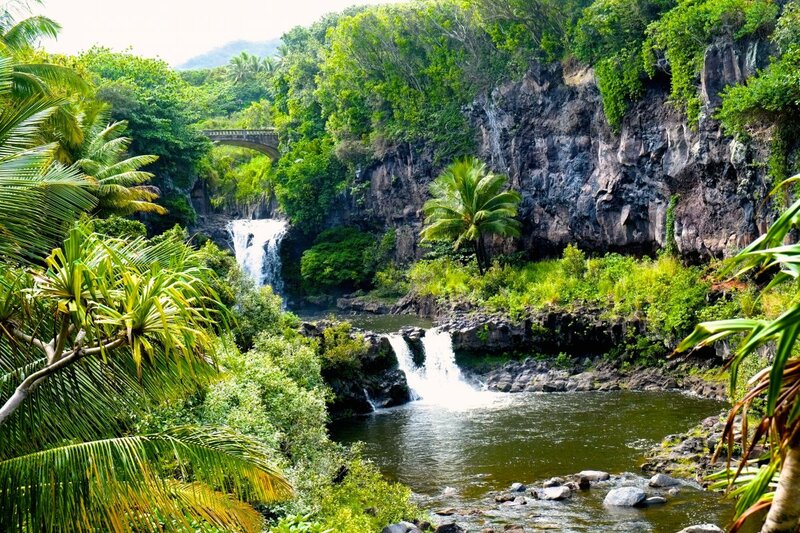 We hope this article has helped you prepare for your winter trip to Maui! It's an incredible place any time of the year (especially in the winter when the climate is more temperate, and whales are off shore saying 'hello'). Have fun and happy vacationing!